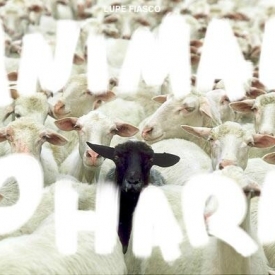 Lupe Fiasco drops Animal Pharm – a hyper-lyrical track that derives its inspiration from the George Orwell classic, Animal Farm. The Chicago MC relays a commentary on the politics of industry and society over a careening melody peppered with drums that tap against the bass and synth like raindrops. Following his recent and sometimes controversial habit of speaking plainly from any platform, he takes the mic to drop an overwhelmingly frank set of verses devoid of any sugar coating except the vivid imagery of his pen and the sweet falsetto dripping from the hook. Check the track below. Keep your eyes peeled for Lupe’s forthcoming LP Tetsuo & Youth, coming soon.